The patient has a history of fall or had been slide on floor years ago. As the MRI scan shows a spine compression and deformity specifically on thoracic 12. Normal Thoracic spine from T1 to T10. 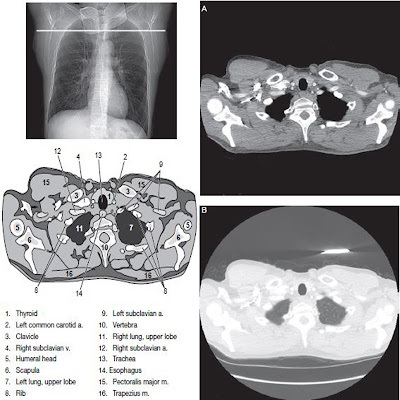 The Patient has severe compression fracture in thoracic 12, where vertebral body is no longer seen on the image. 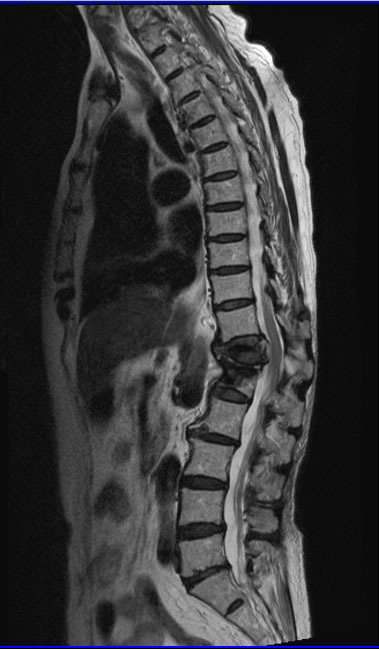 It has also a compression deformity in lumbar 1. Gibbus formation with apex at T12 and L1. A definite central spinal canal stenosis in T11 to T12 and T12 to L1. 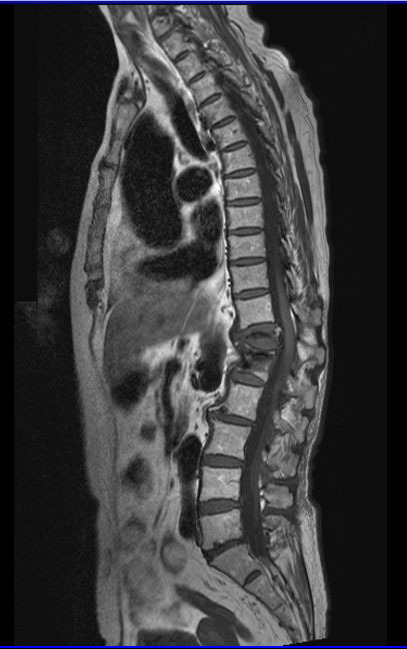 Lumbar Spondylosis is also evident on L2 and L3 anteriorly. Disc dehydration is found on thoracic 11 to sacral 1 with disc protusion, L2-L3, L3-L4, and L4 to L5. Borderline central spinal stenosis, L3-L4. 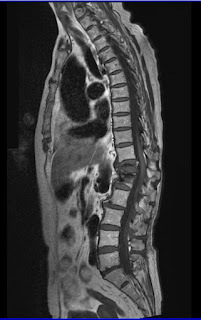 Disc disease in L5 to Sacrum 1. The T1 and vertebral are intact. The articulating vertebral end plates present regular margins, with no disc dehydration. The intervertebral disc spaces are within normal. AP diameter of the spine canal at the T1 - T10 thoracic spine levels are within normal, with normal spinal canal. No spinal cord lessions noted at the thoracic 1 to thoracic 10 levels, however there is abnormal lower thoracic kyphosis noted with apex at T12 and Lumbar 1 levels. The thoracic 12 vertebral body is markedly flattened and almost no longer seen. There is also a compression fracture at the level of lumbar 1, which shows osteophytes and gibbus thus compressing spinal cord at the level. AP diameter at T12 to L1 level is 0.85 cm. Rest of the vertebral heights are within normal in the sagittal view although osteophytes are also seen in Lumbar 2 and Lumbar 3. Disc dehydration is noted at T11 to Sacrum 1 level. There is narrow disc space between L5 and S1. Disc Protusion noted at the lumbar spine levels at L2 to L3, L3 to L4 and L4 to L5. Lumbar 2 to Lumbar 3 level : AP diameter is 1.17 cm. lateral recesses are intact. Lumbar 3 to Lumbar 4 level : AP diameter is 1.0 cm. Lateral recesses are intact. Lumbar 4 to Lumbar 5 level : Ap diameter is 0.93 cm, Lateral recesses are intact. Paravertebral soft tissue abnormality is not noted.